A whiskey lover suffered tragedy, and he wants to help you prevent the same from happening to your collection with Whisky Vault: a bulletproof secure storage safe for your bottles. 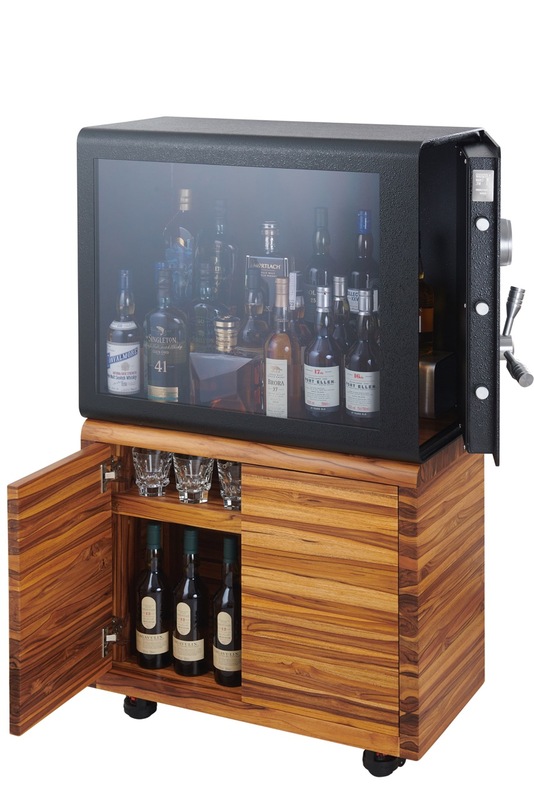 After drunken family and friends cracked into the best parts of his collection (and who hasn’t been there), Whiskey Vault creator Todd Lawrence developed the “ultimate whisky cabinet” which has been “built without compromise.” Given that Macallan recently set a new value record of $1.5 million for a bottle at auction sale, we’re listening. The cabinet provides safe keeping with steel plate construction, a vault door with locking bolts, a machined aluminum tri-spoke handle, and a UL-Certified La Gard electronic lock system, all the while keeping your cherished cargo on display with a bullet proof window and LED light illumination. It sits on a solid wood cabinet with 800 kg.-capacity leveling casters and can hold up to 40 bottles of the finest whisky. Each unit is built to order, and individually numbered. After launching their product in November of 2017, Whisky Vault Taiwan has been featured across home country, Taiwan (Lawrence has been there for more than two decades), and has just recently released solid teak and burnt teak cabinets for an alternative aesthetic to their original design. To gift one of these this holiday season (and we won’t tell if you gift one to yourself) go here. Lawrence also says that on December 1st, Whisky Vault will launch on Indiegogo with an amazing 51% discount. Only 50 units will be offered at the discount.